The need for strong actuator seating force is reduced since much of the force is supplied by the fluid pressure. 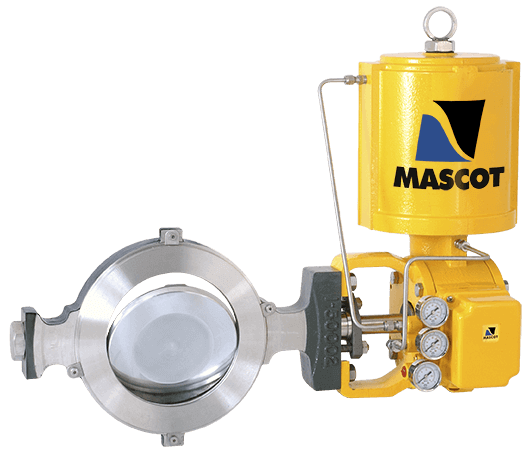 To achieve especially high-performance throttling, even in large pressure drops close to the seat, it is combined with a MASCOT high thrust cylinder actuator and a double eccentric cammed disc. DiskFlo Double Eccentric Cammed Disc To lift it out of the seat immediately upon actuation, a double offset has been designed into the disc. This avoids wear on the seat and disc, reducing leakage and parts replacement. The throttling also improves as the friction is eliminated. Flow Direction Jam-lever Toggle seating allows DiskFlo to flow either shaft downstream or shaft upstream, depending on service conditions. With the shaft downstream the flow tends to open the valve. With the shaft upstream the flow tends to close the valve. 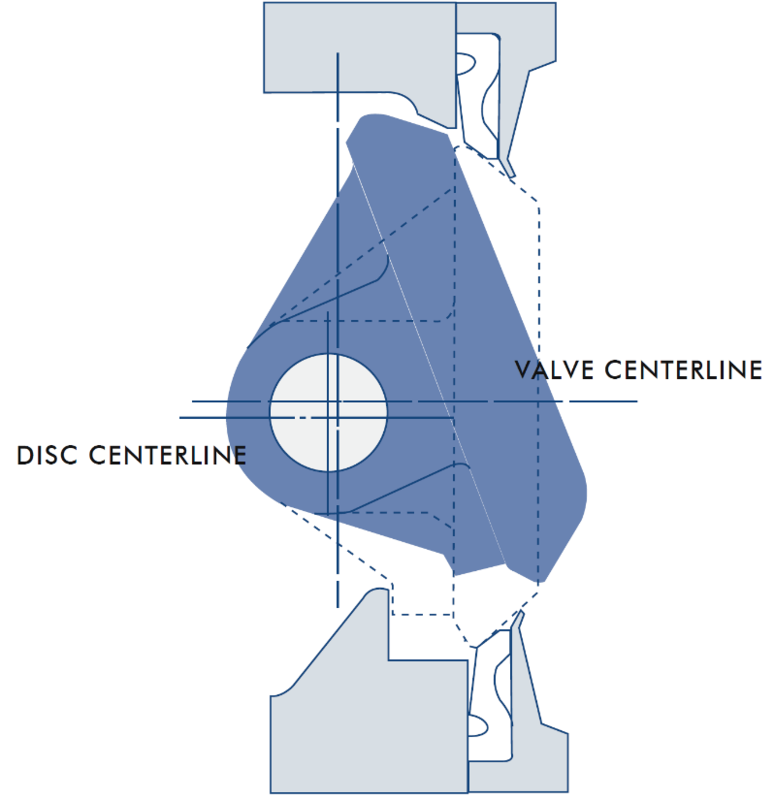 Flow Characteristics The inherent flow characteristic of the DiskFlo valve is a modified parabolic. Other characteristic curves are achievable by means of a MASCOT HiFlo Positioner or a SMART positioner.